Whether the roots of the lumbersexual are a cultural shift toward environmentalism, rebellion against the grind of 9-5 office jobs, or simply recognition that outdoor gear is just more comfortable, functional and durable, the lumbersexual is on the rise (here). The archetypal lumberjack—the Paul Bunyanesque hipster naturalist—was an invention of urban journalists and advertisers. He was created not as a portrait of real working-class life, but as a model for middle-class urban men to aspire to, a cure for chronic neurasthenics. He came to life not in the forests of Minnesota, but in the pages of magazines (here). *We would like to thank the Orange Couch of NOLA, Urban Outfitters, the rural (&) queer community, and Andrea Herrera for suggesting we tackle this piece. Additional thanks to C.J. Pascoe and Lisa Wade for advanced reading and comments. 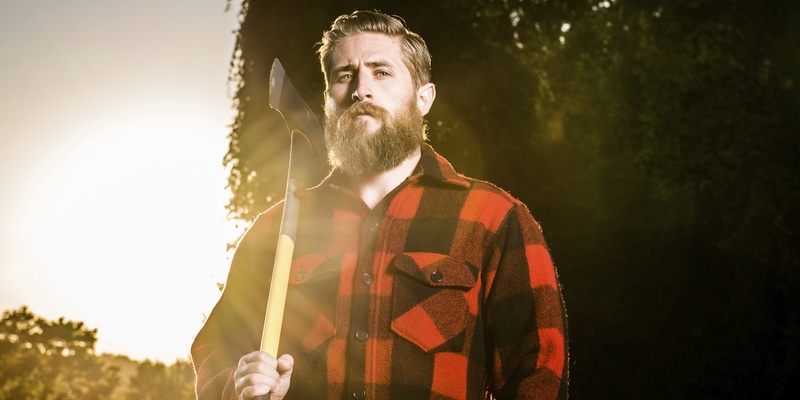 The lumbersexual is a fascinating trend, even defined in the urban dictionary! Is it a response to the "metrosexual" identity? It definitely could be. I think of the fictional character "Ron" Swanson in the TV show Parks and Recreation. Comedian Nick Offerman's portrayal of the quintessential lumbersexual is satire at its best IMO. And it's interesting that you mention how the term may also be used to "mock young, straight, white men for participating in a kind of identity work" rather than a claimed identity. Gender play always at work. Great piece. What I find interesting in an article attempting to deconstruct a fashion trend is that its intent seems more bent on undermining men feeling good about identifying with their masculinity. Because, I guess, we're to privileged to be allowed to feel any positive connection to our masculinity. What's pathetic is that it's a fashion. A guy can't even wear a shirt without there being implications.